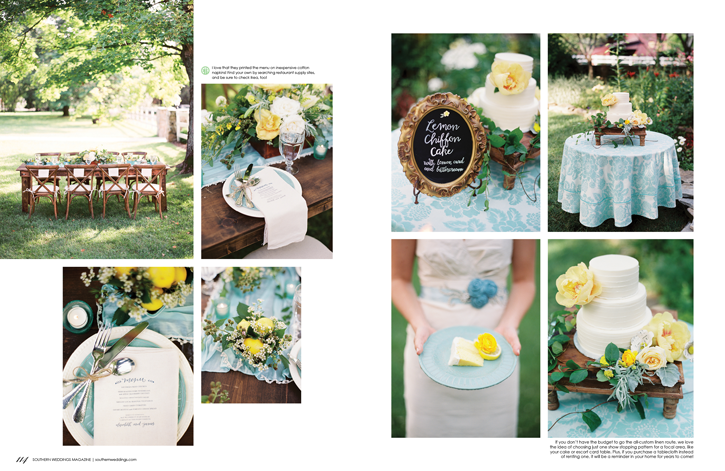 I am so grateful to have been included in Southern Weddings Magazine V6. What an honor! Be sure to pick up a copy of your own at your local Target, Barnes and Noble, or your can order them online here. 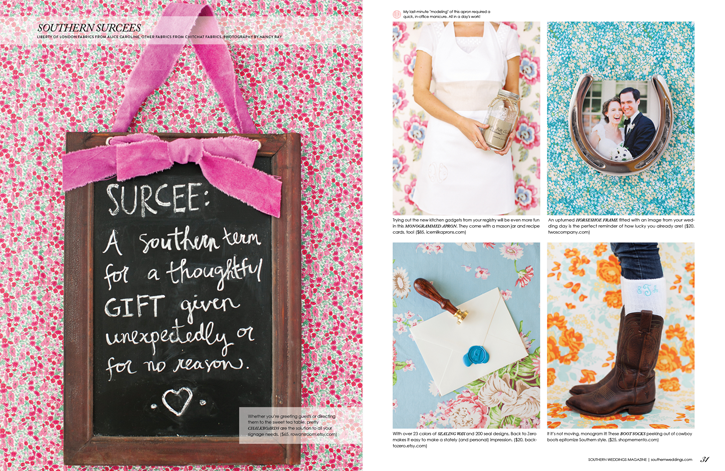 You’ll see two lovely sections that feature my work: Southern Surcees and Song of the South. I am so humbled and so grateful to be in these pages. 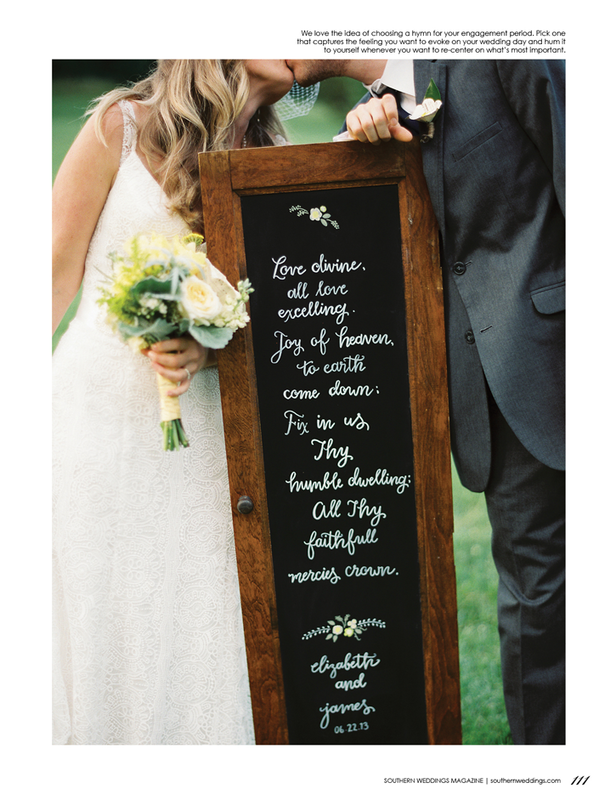 This magazine is so full of meaning, heart, marriage, and true love – all the things that a weddings magazine should be founded on. 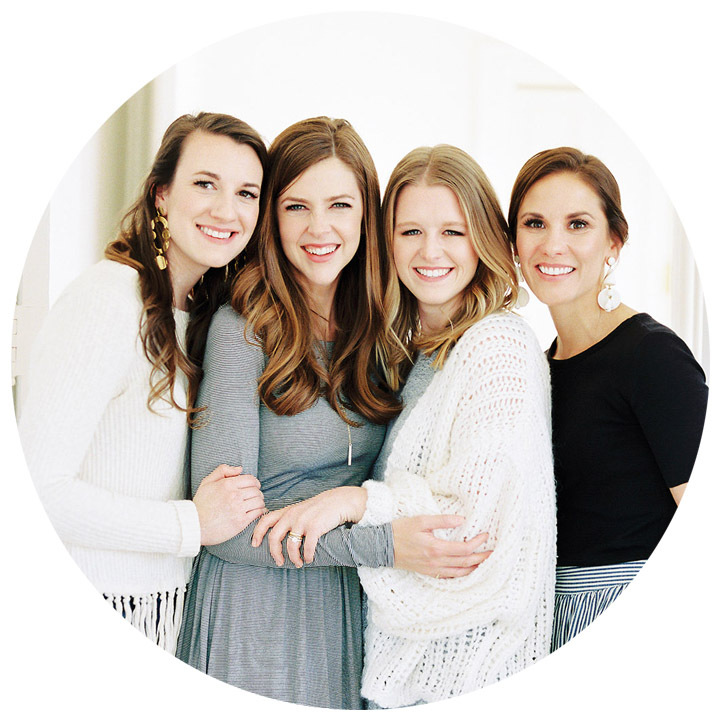 A big thank you to all the ladies at Southern Weddings for this honor! 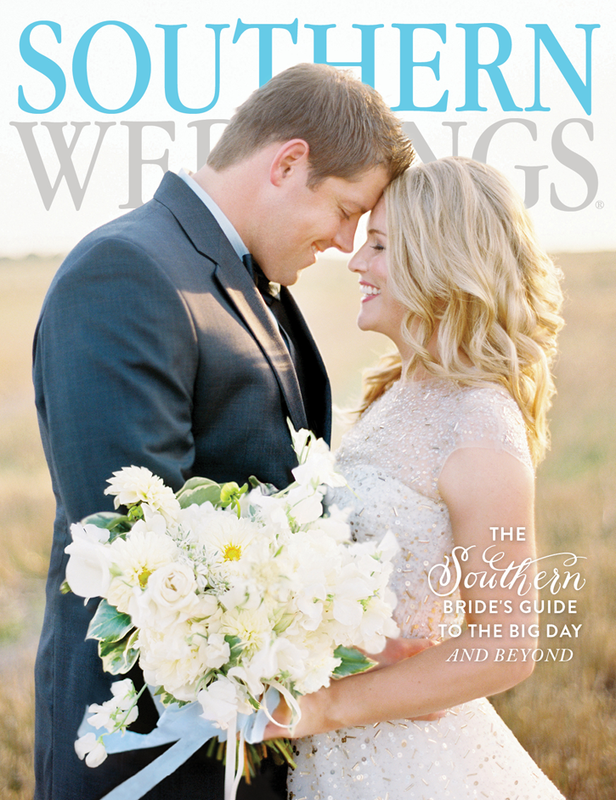 I photographed the Southern Surcees Section in the Southern Weddings Office, and it was an all-day affair! 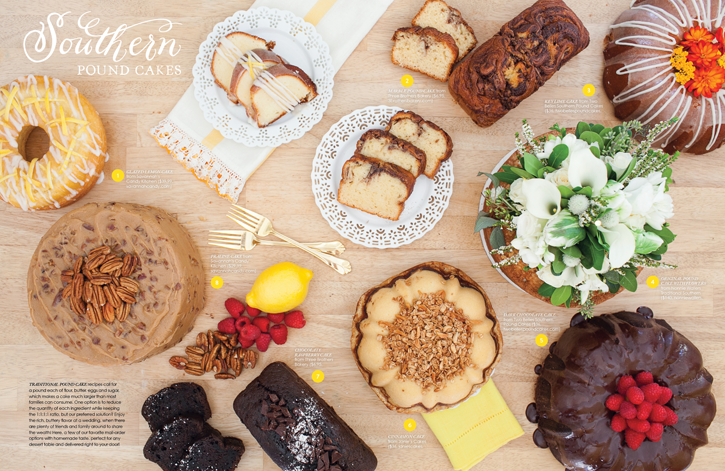 There were so many sweet treats to photograph, and you can be sure I took a pound cake home, and also gave another to my neighbor. 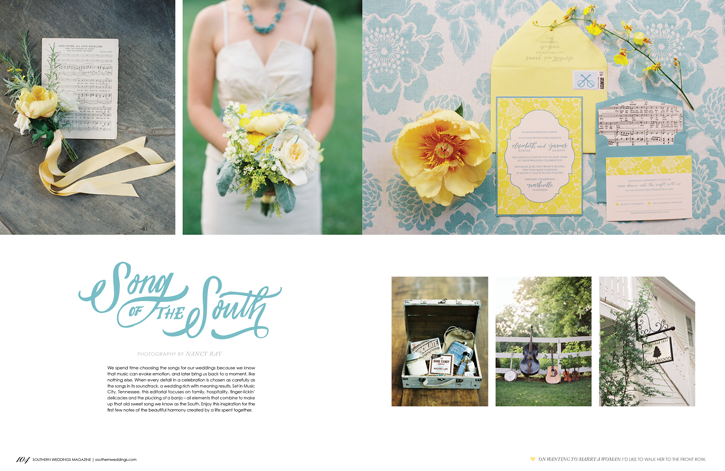 Song of the South was photographed with an incredible team of vendors in Nashville, Tennessee. (You’ll hear all about this editorial soon!) My favorite part? My triplet nephews and adorable nieces graced the pages with drums and tambourines! Be sure to get your own copy of the Magazine today! I spy the Blanton kids and they look adorable!! Beautiful pictures, Nancy! You have such a gift from the Lord to capture His beautiful creation.